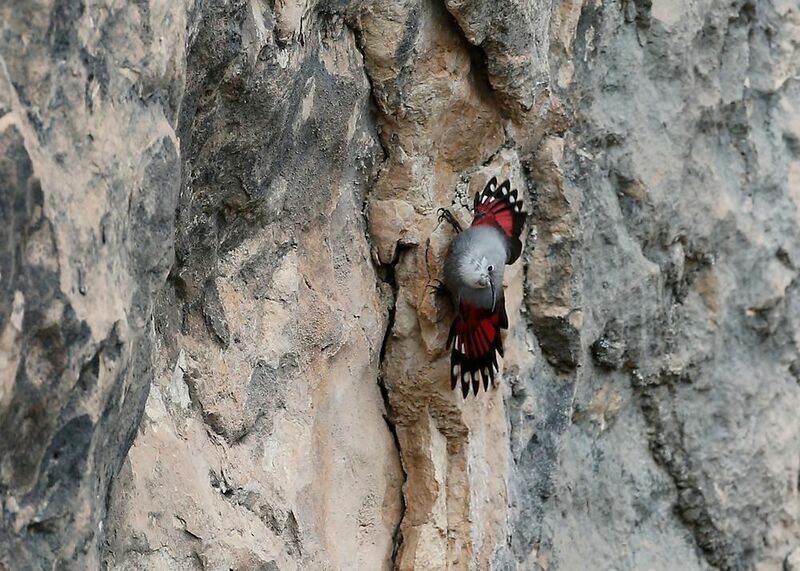 Wallcreeper ~ Alquezar, Spain - 28.12.17 | Birding the day away !! 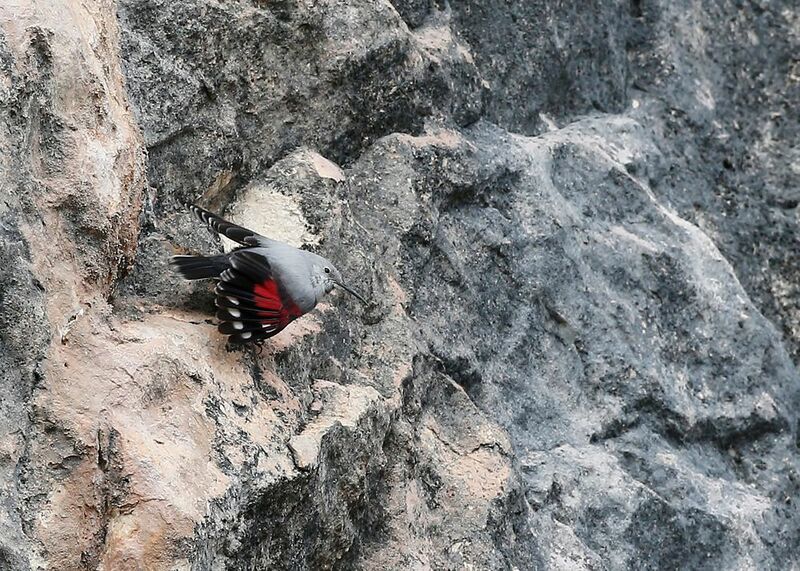 This trip was based on finding Wallcreeper in the Spanish Pyrenees and whilst doing so some good alpine birds along the way. 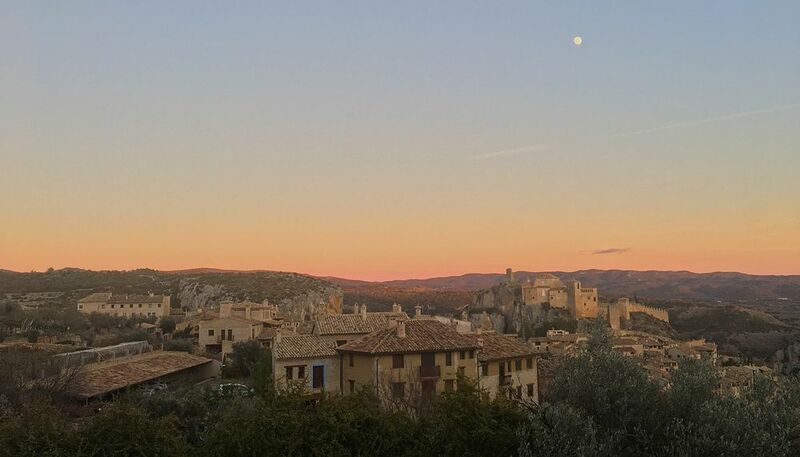 Flight in to Zaragoza on the 27th December and back on the 31st with the Hotel in Plasencia Del Monte on the A-132 about 25km from Riglos .. 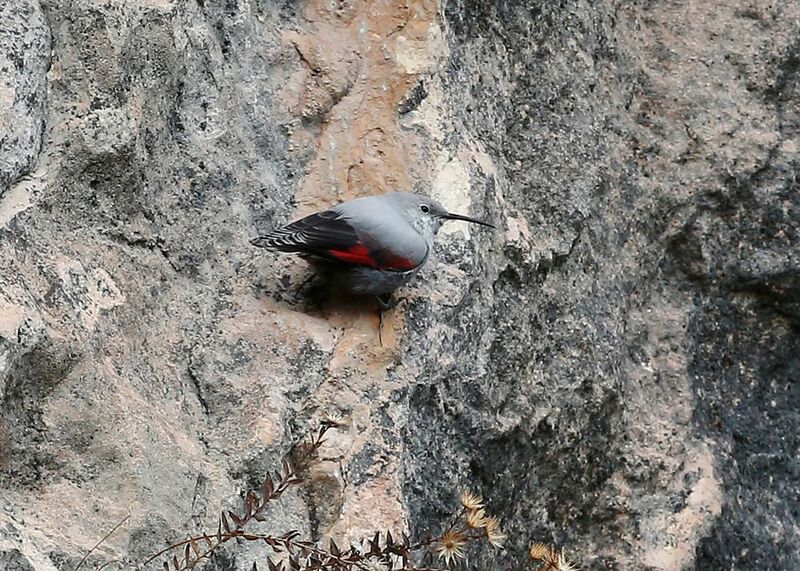 The Sierra de Guara was the target area for the 28th working from the Gosney guide and as time was limited choose to concentrate on the easy access sites rather than the ones which required walks out through gorges etc ..
With so much potentially good rock faces literally everywhere the chances of finding a Wallcreeper anywhere and on any surface seemed a bit of a needle in a haystack .. 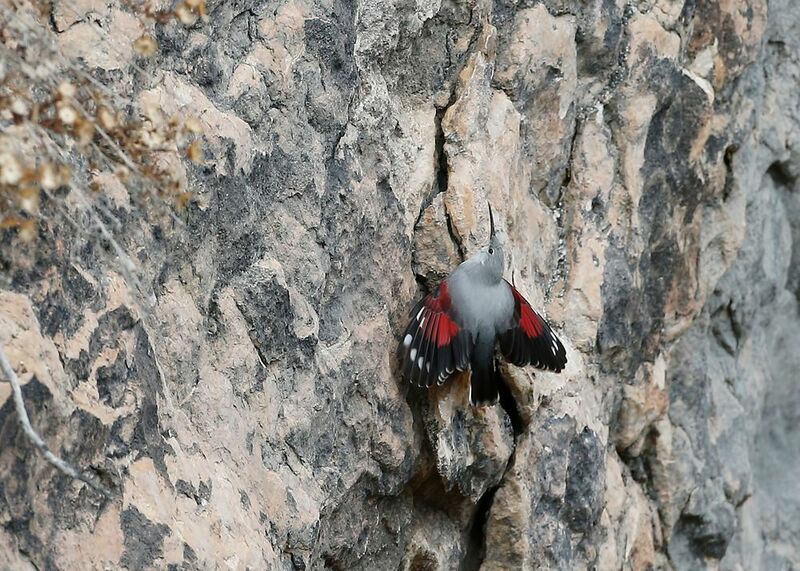 So I tried Vadiello Dam, Calcon Dam, The bridge between Morrano and Bierge then mid-afternoon at Alquezar with all the sites its about luck finding a Wallcreeper .. 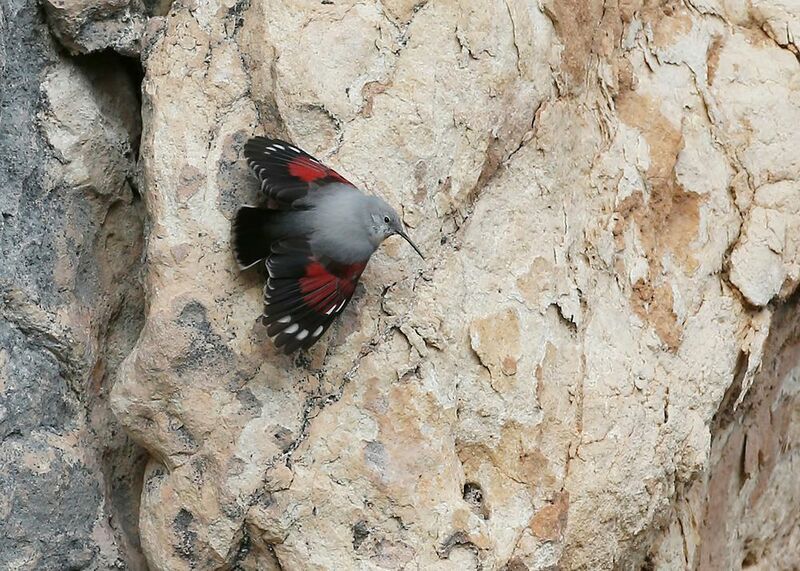 The scenery was stunning whilst driving around the Sierra de Guara with at one point 72 Griffon Vultures circling but it wasn't until I got to the medieval town of Alquezar that I struck lucky ..
and started scanning the rock face then OMFGG there it was a Wallcreeper, constantly active coming towards me and wing flicking showing off its colours. I watched it for about five minutes as it was distant but coming closer, now I had to go get the camera which was ten minutes away, when I got back a lady had pointed to where the bird had come to I would of had to step back to get it in the frame !! But had to settle for big crops .. 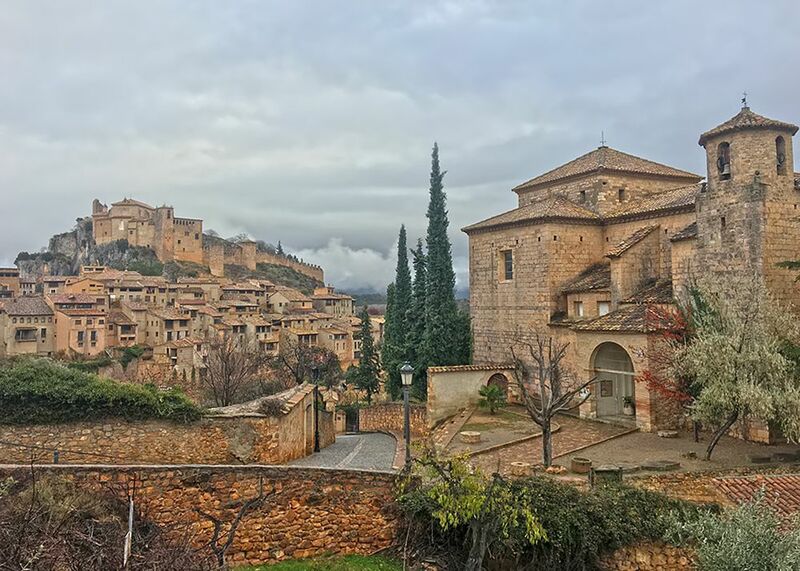 I tried a couple of sites in the Hecho Valley the following day without success. 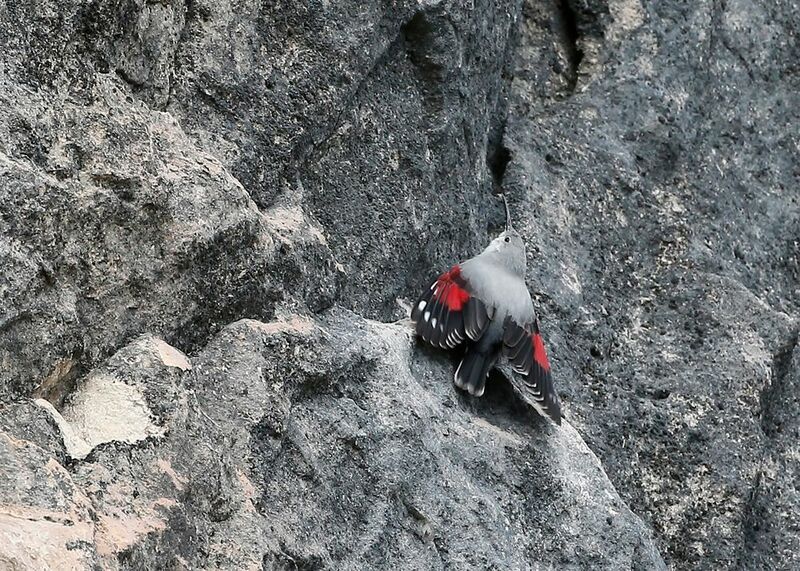 Then another afternoon visit to Alquezar but this time it was a saturday with a few climbers scaling the rock face probably had the birds feeding elsewhere as I didn't see one ..
Wow, what a magical place! 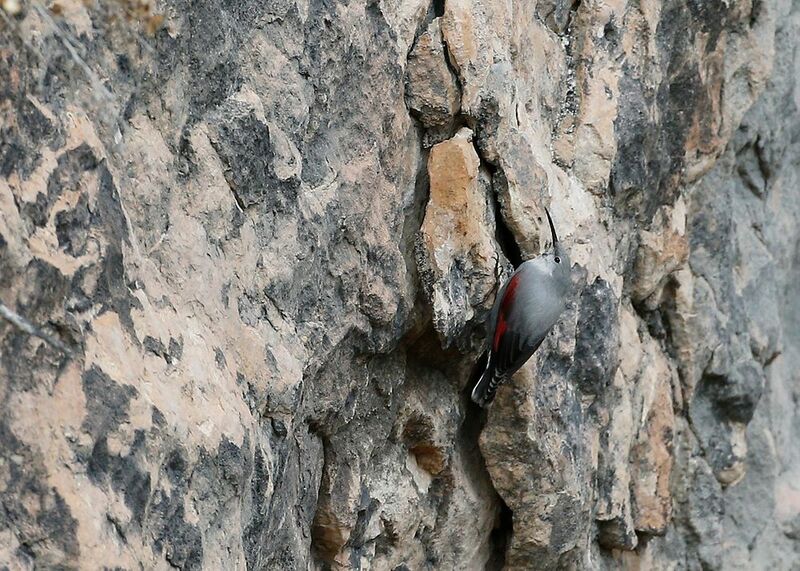 Did you know, the Chinese name for Wallcreeper translates as "Rock Flower"?